Snowcreek Athletic Club features a 57 ft heated indoor pool, so you have a place to swim all year long! We are one of the only places in Mammoth that offers an indoor pool. 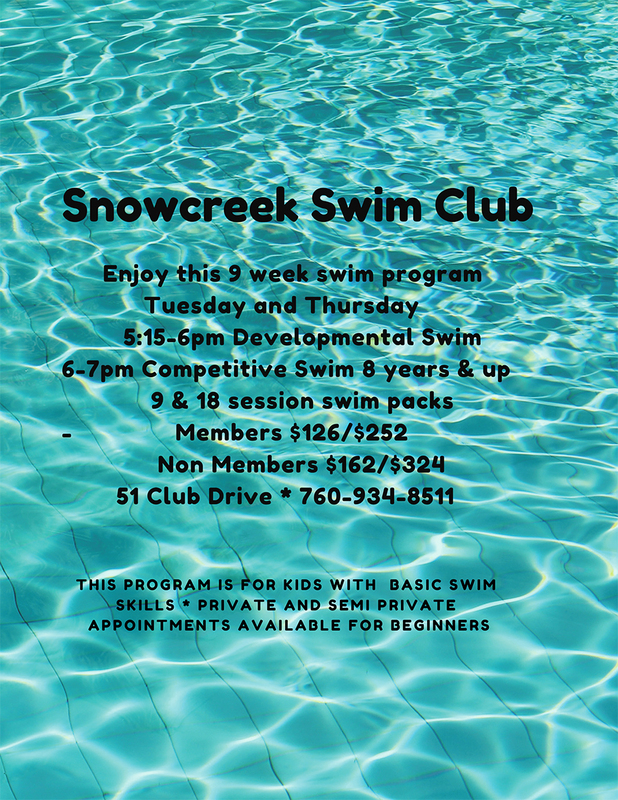 Whether you’re looking to swim some laps for a workout, or you have a child who wants swim lessons, Snowcreek Athletic Club is the place to go. Cultivates positive mental attitude and high self esteem. Relatively injury free compared to other youth sports. Swim lessons are offered as private or semi-private by appointment. You can schedule lessons call Laurel Martin for availability at (203)-260-0395 or Josh Pigetti at 805-729-5792.